In today’s busy world it can be very difficult to find the time to do the things you want to do. It’s not unusual for us to hear a person say that they would love to learn to sail but just can’t seem to find two consecutive weekends to get started. Search no more. This month we are offering a few classes that are normally offered over the course of four-sessions in a two-session (one weekend) format. One the weekend of June 2nd and 3rd we are offering several sailing classes that normally meet over two weekends compacted down to just one weekend format. You will still receive 4 sessions of instruction and practice time distributed over two full-days (a morning and afternoon session) rather than over the course of four half-days. This is a great opportunity for students who have a tough time being available for two consecutive weekends. 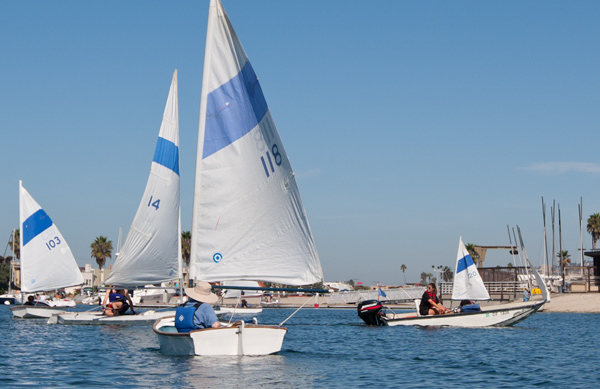 Classes being offered at the special compacted schedule are Basic Sailing, Advanced Sailing, and Basic Keelboat Sailing all running from 9am-4pm with a 1-hour luch break from 12pm-1pm. Be sure to take advantage of this special opportunity to start sailing.